Once upon a time there was a girl who wanted desperately to work in the media. She began doing work experience aged 19, became an editor at 24, had a baby at 25, another at 33, spent 7 disastrous months as a TV executive, pushed the eject button on her corporate career to start a blog which became a website which became an independent media company she now runs with her husband. 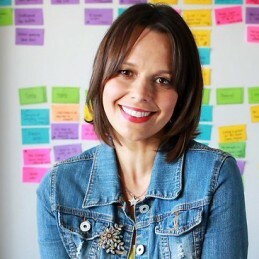 Mia Freedman began her career doing work experience at Cleo magazine aged 19 and at 24, became the editor of Cosmopolitan. Mia edited Cosmopolitan from 1996-2002 and was named Editor of the Year by the Magazine Publishers Association in 2000. She quickly turned her focus to the area of body image and featured women of all shapes, sizes and skin colours in every issue. She was appointed chair of the federal government’s National Body Image Advisory Board in 2009. Mia went on to become Editor-In-Chief of Cosmopolitan, Cleo and Dolly magazines before leaving print publishing in 2005 to have her second child. After a brief stint as a commercial TV executive, she walked away from corporate life in 2007 to start a personal blog called Mamamia.com.au which she grew solo until her husband came on board as CEO in 2010. Together, they transformed Mamamia into Australia’s leading women’s website with hundreds of contributors and a full time editorial team. She is the journalist with the highest number of Twitter followers in Australia while her acclaimed weekly newspaper column appears in the Sun-Herald and Sunday Age. She also appears on The Today Show every week to discuss news and current affairs. Mia is the Chair of the National Body Image Advisory Board that consults with the federal government on issues regarding body image and the media. In 2012, she launched parenting website ivillage.com.au and together with Mamamia the two sites now reach 1.3 million Australian women each month and generate 14 million page views. Mamamia has become the go-to website for politicians and others wishing to engage with influential women.